Hope y'all have had an absolutely fabulous weekend! 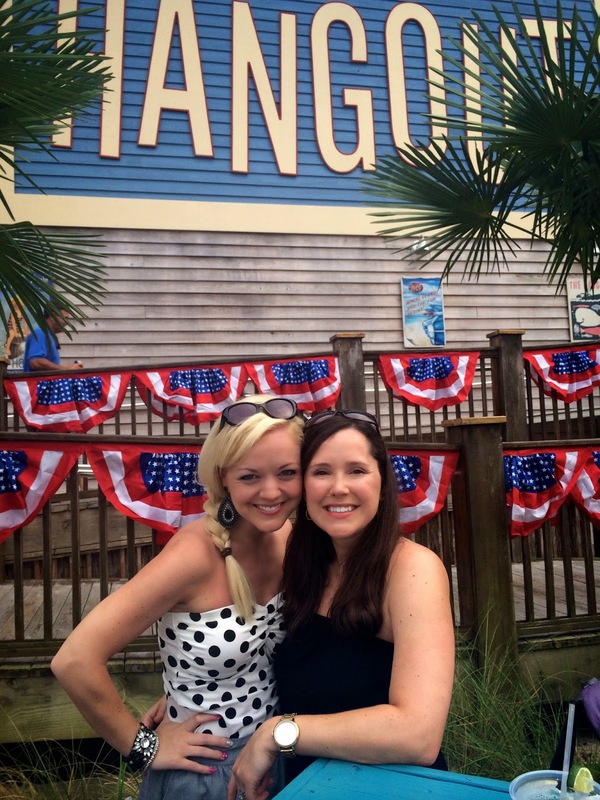 So I tried to write more blog posts while I was at the beach (we just got home yesterday), but the internet there was soooo slow that I was only able to post one (see it here). However, I took a few outfit pics to post for y'all this week! We had such a wonderful time at the beach; I wish I was still there :). 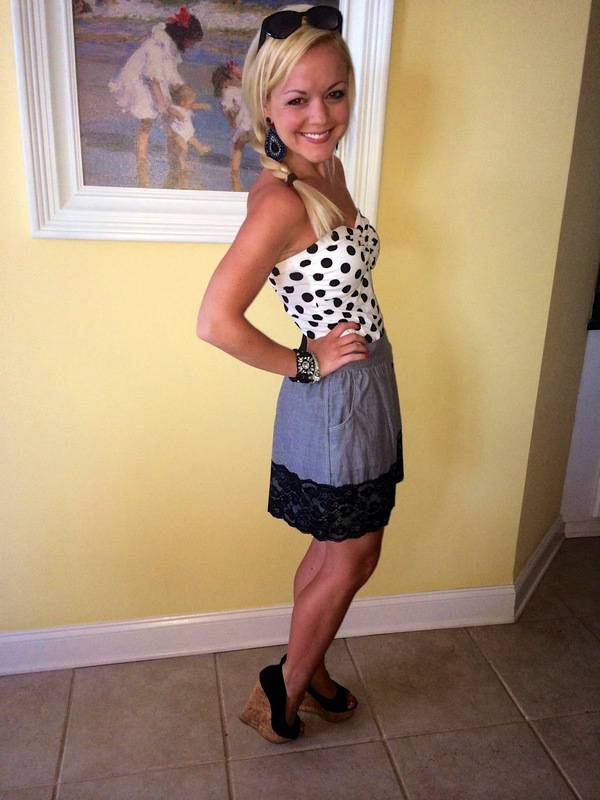 So the outfit below is what I wore out to dinner one night to a really fun place in Orange Beach called The Hangout. It had such a fun atmosphere including a live band & DJ! :) We had a great evening eating and dancing haha! So some thoughts about my outfit below: the skirt I found at Kohl's before I left for the beach & I just loved the lace detail, buttons & POCKETS (I love dresses/skirts with pockets. So cute but also functional!). I had also been looking for a new pair of black wedges and I wanted some that didn't cut off my leg at the ankle. I have short legs anyway so I like for my shoe to elongate my legs. So, I was super happy to find the pair I'm wearing below at Rue 21 because they don't have any straps around my ankles. To make it even better, they are eyelet print (SO summery!) and I got a great deal on them! :) Hope you enjoy my OOTN! 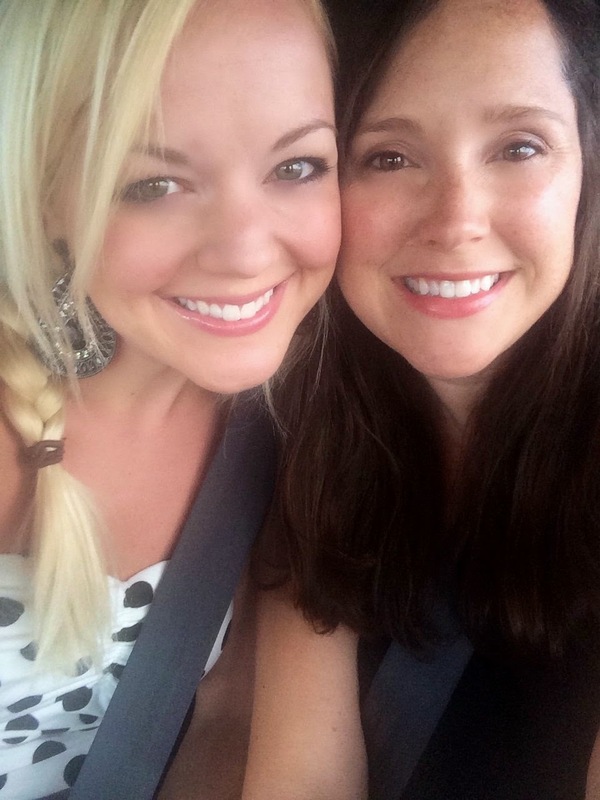 With my sister-in-law! Love her so much! 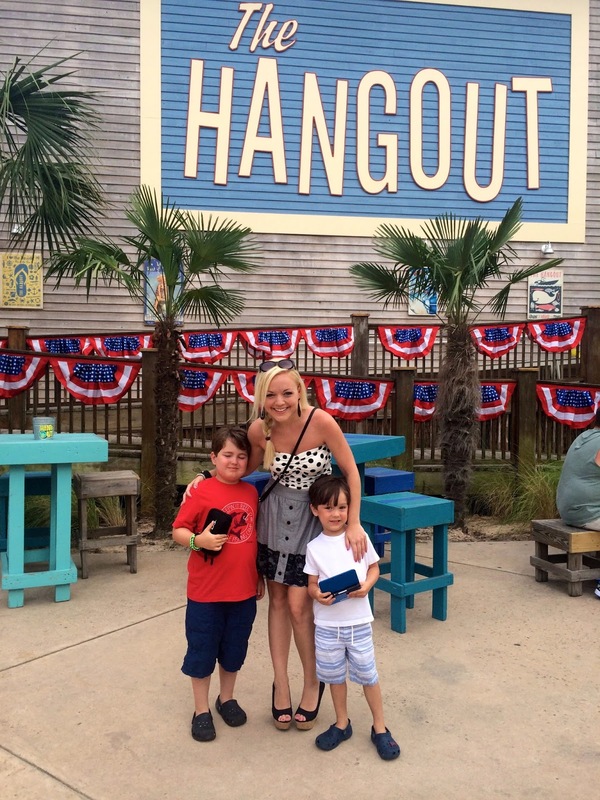 With my precious nephews at the Hangout! Again with my sweet sister in law! 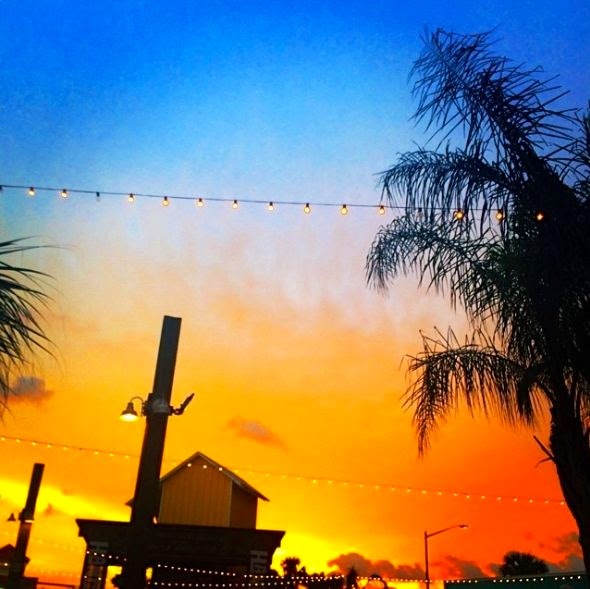 The beautiful sunset at dinner! Too adorable!! 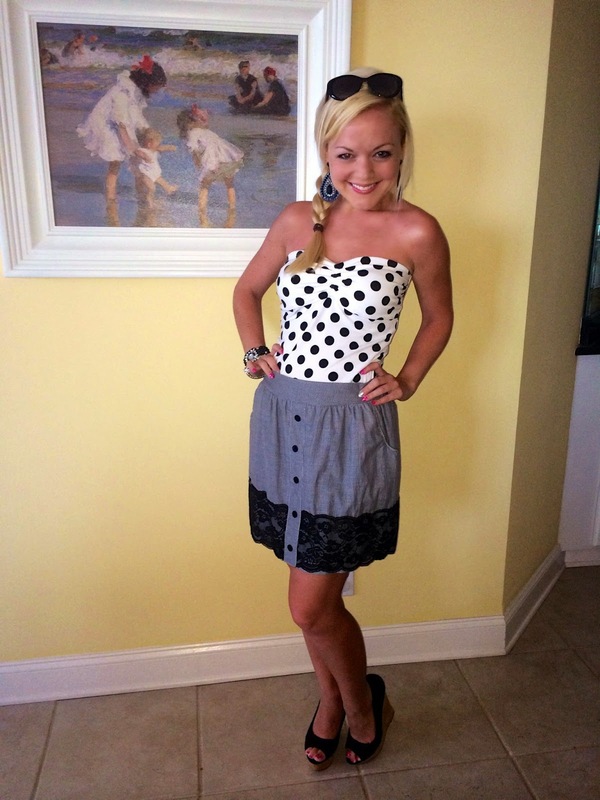 Loving the lace and polka dot combo! Looks like fun, great photos as well. I absolutely love your diamond bracelet, it's adorable! !